Twitter Bootstrap has become one of the popular css frameworks on the web. 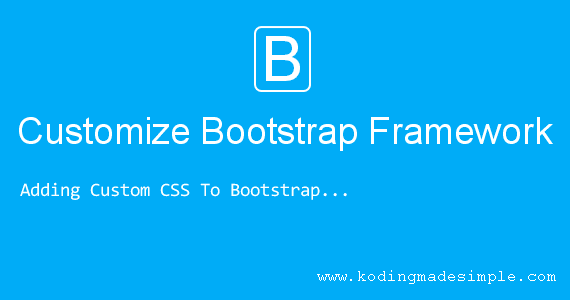 Being a significant time-saver, several thousands of websites have been built using bootstrap framework. But most of the sites using bootstrap do very little to customize them, resulting in those websites looking similar to each other. On the contrary you could easily make your site to stand out from the crowd by using some premium bootstrap themes. So how those theme developers achieve this? Well! They don't stick to the defaults. If they could do it, then you can also do it by putting on some effort. Are you ready to give your website unique look and feel? Then come on, let me explain you how to customize bootstrap css to fit your own style and need. Luckily bootstrap provides a great foundation and employs pre-styled components, responsible grid layout and much more to facilitate rapid responsive development. So we don't have to reinvent the wheel but to change the css styles of those components. The official bootstrap site provides bootstrap custom builder to generate your own custom build of bootstrap. Also they provide the less and sass version of the files for you to work and compile the css file to suit your requirement. But those options are not for everyone and you should keep track of all the changes you have made going in that way. Also it gives you headache in case you want to upgrade to higher versions of bootstrap later. If you don't want to mess up with the core bootstrap files and want to keep out your customizations mixing up with the original code, then follow this method which is a far better approach. The advantage of this method is that it hardly changes your workflow and will make you free to upgrade bootstrap versions as you please. Yes! I'm talking about overriding the original bootstrap's styles. This can be accomplished by creating a custom css file and write your own styles for the css classes of bootstrap. Here we go. 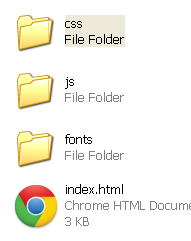 I assume you have bootstrap files ready in your work folder like this. Step-1: Inside the <head></head> section of your html file, add the bootstrap css file first. Step-2: Next create a file named 'custom.css' inside the css folder and add it next to the bootstrap css file like this. Now you can pretty much add up your own css styles to change the look and feel of the site in the custom css file. Note that we try to override the bootstrap css components here, so we should load custom css file after loading bootstrap css. Else you won't get the desired result. 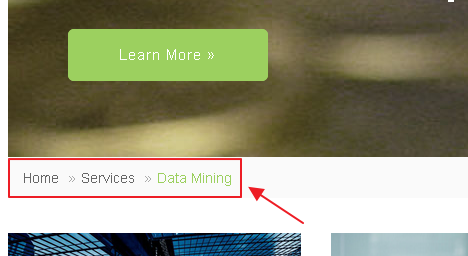 Step-3: Now include the jquery library and bootstrap js files as usual just above the </body> element. Done! You are ready to override the css styles by adding custom css to bootstrap classes. For example, you can remove the rounded corners from the navigation menu bar like this. It results in the bootstrap navbar looking like this. Or increase the css border-radius property of the buttons to make it capsule shaped. 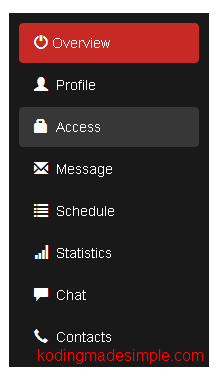 Now all the bootstrap buttons will look like this. Note: Since we are in the development stage and not at the production level, I have used non-minified version of bootstrap files. But once you finish up the customization and move the site to production environment, try using the minified version of the files 'bootstrap.min.css' and 'bootstrap.min.js' to increase performance. If you want to learn more about customizing bootstrap css then you can kick start with our Bootstrap Customization Tutorials. And that was all about customizing bootstrap css framework. I have planned to write more bootstrap tutorials in the forthcoming days. So I will keep on updating this article too :).